You Helped Find A Veteran A Best Friend, And A Shelter Dog A Forever Home! Richard served in the Army as a Specialist during Operation Enduring Freedom, and he received many ribbons and medals throughout his service. But after returning home, Richard suffered from PTSD, TBI, depression and anxiety. He asked Pets for Vets to find him a dog that would be his companion through each day and encourage him to walk more. Richard and his wife have two cats, so finding a dog that wouldn’t disrupt the pets already in their home was also a requirement. Pets for Vets found Charlie in a local animal shelter with no known history. He is thought to be a 3 to 4-year-old German shepherd mix that was brought in as a stray. After being assessed by the Pets for Vets trainer and passing the Pets for Vets Evaluation, Charlie was adopted and began training right away. He had to learn how to live in a home, walk on a leash and have a positive relationship with cats. Charlie has a calm and social temperament, and that was exactly what Richard was looking for in a companion dog. On Match Day it was all smiles and hugs for Richard and Charlie! 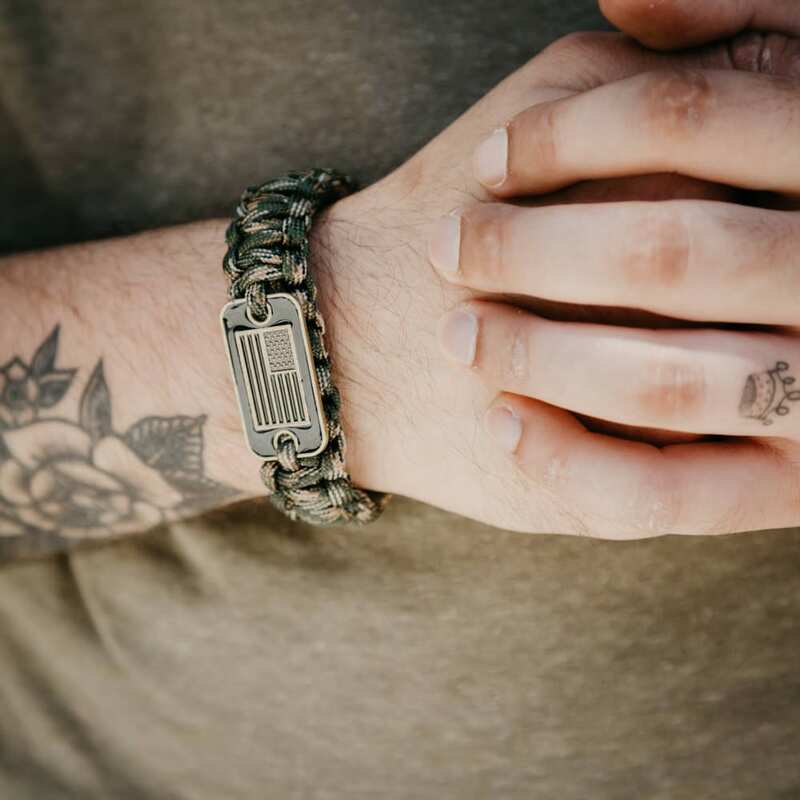 When you buy Pets & Vets items from the iHeartDogs store, like the Camo Paracord Bronze Flag Bracelet, 20% of your purchase will help pair a veteran with a shelter or service dog – like Richard and Charlie! Helps pair veterans with shelter or service dogs!